New Real IDs for Alaska Residents! Although residents and state lawmakers didn’t want it, the federal Real ID program has arrived. The people objected, and have been pushing against the program, but as of 2020, the state will require all residents to obtain a new license. State lawmakers in particular were opposed to Congress’ Real ID Act of 2005. With over more than a decade of opposition, the Alaska Department of Motor vehicles must now follow federal guidelines approved by Congress. According to the DMV and the Department of Homeland Security, Citizens will have until October 1, 2020 to update their IDs. After this date, those who have the previous license will not be allowed to enter a federal building, military base or board an airplane. The proper documentation is important when trying to obtain the new license. Although Alaskans must visit the DMV and bring extra documentation to get the new license, it should be a viable option for a passport. The new IDs are very distinct to avoid forgery. The images displayed include a green and blue holographic silhouette of Denali National Park, fireweed and a moose. Also, there is a black roundel star that signifies that the license meets federal standards. Unfortunately, it isn’t clear how the new ID program will be set into motion in communities without a DMV office. 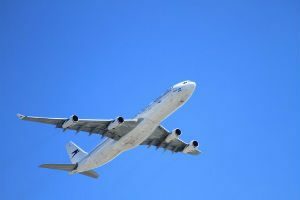 For those who don’t want a federal ID, and don’t need to utilize a commercial airliner or enter a federal facility, can still obtain a commercial license. The government claims that the extra ID measures are to increase security within forms of ID, for people’s safety. Here’s a checklist of what you need to get for the ID. What are the main terminals in Alaska? Alaska Auto Transportation provides auto shipping to and from following terminals in Alaska – Anchorage, Juneau, Valdez, Nikiski, Kivalina, Homer, Kodiak, Dutch Harbor and Ketchikan. Where is the main land terminal? The mainland terminal is in Seattle, Washington. It is the main port where the vehicles are being loaded/unloaded. Do you ship to/from Fairbanks? Yes! Alaska Auto Transportation carries out all kind of vehicle shipment to and from Fairbanks, AK. Can I have something in the vehicle during the transport? Yes! On our standard sailings and seasonal truck options we allow you to ship up to 100 pounds of personal belongings in your vehicle at no additional charge when you are shipping between Alaska & Seattle. This is one of the perks of using us as your carrier! Unfortunately, on routes beyond Seattle, we CANNOT allow personal effects to be shipped as the Department of Transportation forbids car carriers from hauling “freight.” If you are shipping your vehicle with personal effects please ensure that they are boxed, sealed, and secured in the backseat and trunk area only at or below the window lines with nothing in the front seats. We DO NOT take a responsibility for the belongings placed in the vehicle. Do I have to be present at the pickup and delivery locations? No! There is no special requirement for you to be present but in any case, your presence is important for you and for us as well. It is vital for you to take part in the loading or unloading process yourself. Can you ship non-operable vehicles? If your vehicle brakes, rolls, and steers we can ship an inoperable vehicle, for an additional fee. For each vehicle, the conditions are different. We will need you to call us with further details and explanation to determine the best way of handling your non-op vehicles. How much gas does the vehicle need for the process? Less than ¼ tank of fuel – no exceptions. This is a coast guard regulation (#176.905). What do you transport to or from Alaska other than cars? 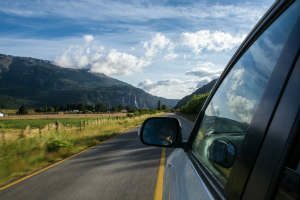 Alaska Auto Transportation provides services for a wide variety of vehicles. It can be a boat, an SUV, a bus or a van. Trust us one of the most important decisions of your life, Car Shipping, and you’ll not regret it! Do you ship vehicles to other US states? Of course! We provide car shipping services to and from any city/state in the US. The only thing that you are to do is to choose the destination and let us do what we are specialized in. Guaranteed auto shipping from USA to Alaska and vice versa. You can request a free quote online and one of our agents will get back to you with your quote right away. Filing this form is and will always be FREE of charge. Or you can call us at (907) 290-8899 and book your auto shipping by phone. Our agents are always ready to assist you with the highest level of quality services! 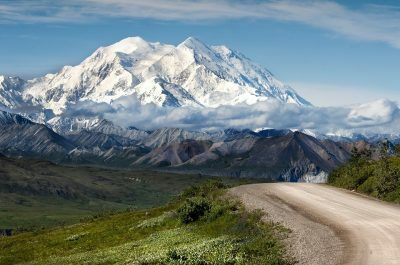 How long will it take to transport my vehicle to or from Alaska? The shipment process time depends on the origin and the destination of the transport. Contact us and our live agents will give you detailed information about the pickup and delivery estimates. Hunting Stolen Vehicles: A Hobby…? © 2018, Alaska Auto Shipping | All Right Reserved.